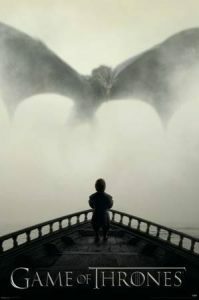 Winter has finally arrived, as HBO’s award-winning series comes to its eighth and final season. VanArts is proud that 15 of our graduates in Animation & Visual Effects have been part of this journey, many of them working in our own backyard for studios in Vancouver. Vancouver continues to be the #1 hub for animation, visual effects, video games, tech & new media, and Game of Thrones is but one of many shows that are produced here. The final season starts April 14! See for yourself what kind of amazing work is involved to bring the Seven Kingdoms to the screen, and if you’re ready to be a part of this booming industry, talk to us today. There are still many stories to be told.